Venture out of the city with trips to Napa (Wine Tours & Tastings & Trinitas Cellars), Healdsburg (Jordan Vineyard & Winery & Gracianna Winery) and Tall Trees Grove (in Redwood National Park). Spend the 19th (Sat) exploring nature at Presidio of San Francisco. Spend the 24th (Thu) exploring nature at San Francisco Maritime National Historical Park. 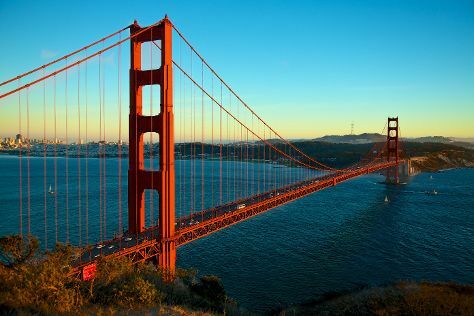 There's lots more to do: snap pictures at Golden Gate Bridge, take in the waterfront at Fisherman's Wharf, take a stroll through SoMa, and get curious at Exploratorium. If you are flying in from Luxembourg, the closest major airports are San Francisco International Airport, Metropolitan Oakland International Airport and Norman Y. Mineta San Jose International Airport. September in San Francisco sees daily highs of 28°C and lows of 17°C at night. Wrap up your sightseeing on the 25th (Fri) to allow time to travel back home.